If I had a million dollars how would I spend it? 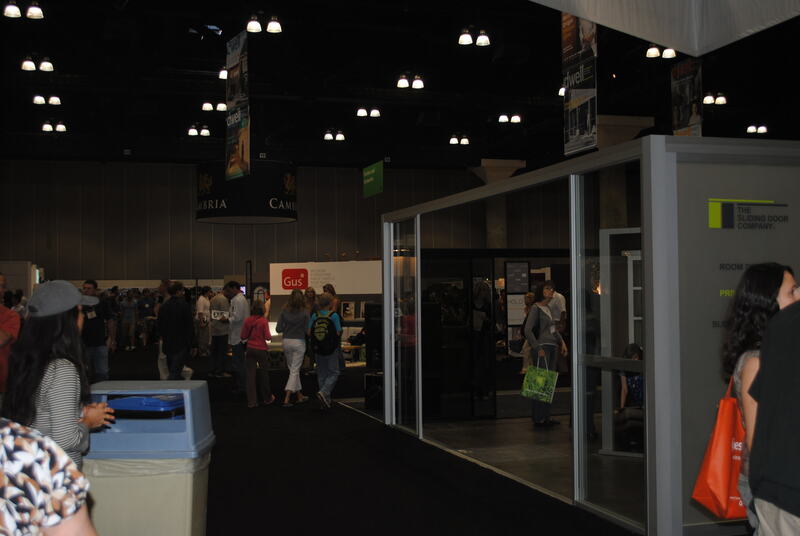 I don’t know, but I got some good ideas at the Dwell Design Show at the LA Convention Center. My friend Leah, her Mad City Dad husband Scott, our friend Greg, Tim, and I piled into the Bluebell (our blue Honda Civic) and made our way to LA. 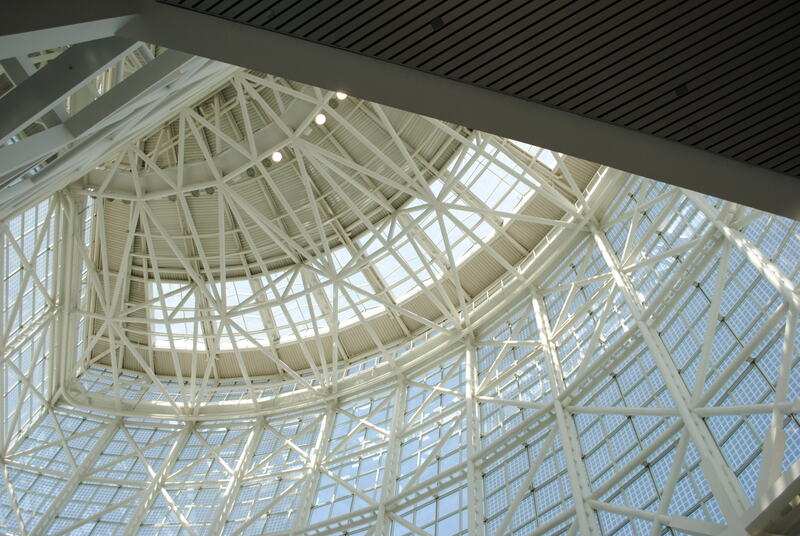 The Convention Center itself is a beautiful building with its spider web of steel girders above our heads and a Terrazzo map of the world at our feet. It piqued my appetite for good modern design and the Dwell Design show did not disappoint. Immediately upon entering I was transported by the wondrous things there. There were so many possibilities. 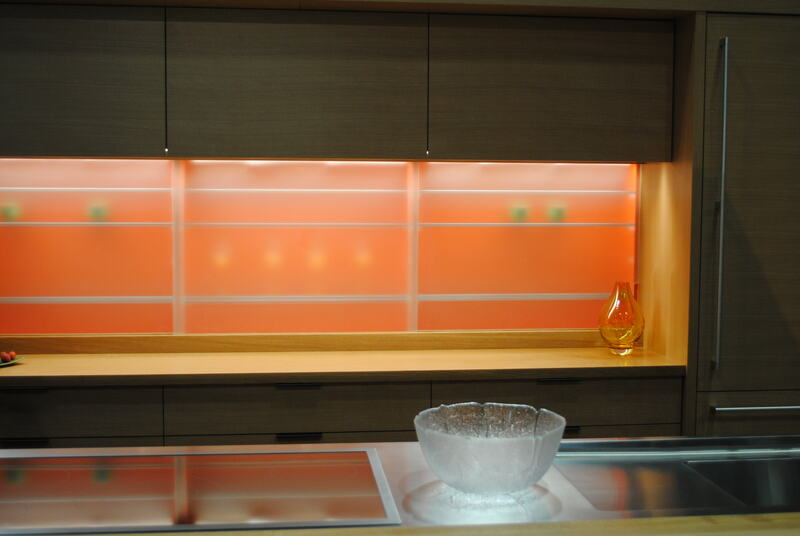 In our remodeled den we will have sliding walls, made of opaque glass, which will meet at a 90 degree angle. Most of the time it will be an open den, but when we have guests or when our grown children visit we can close the walls and make it a fourth bedroom. 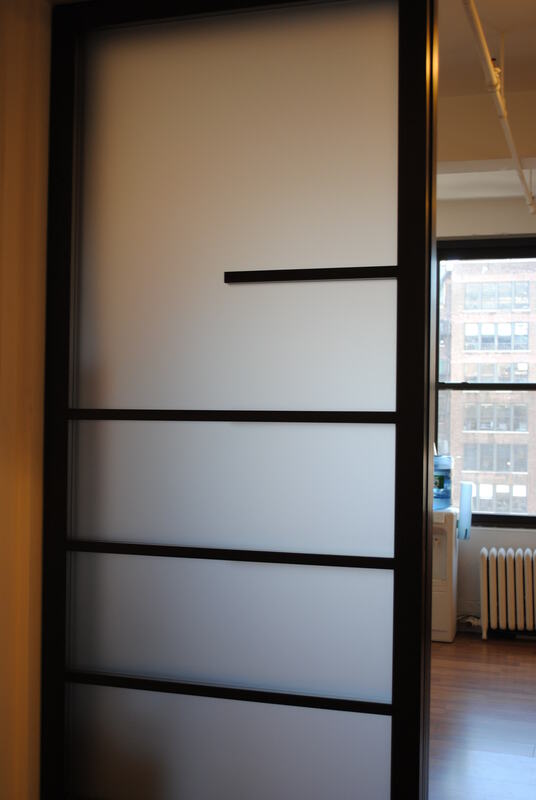 When I visited Corrina in New York in April I went to the Ray Doors showroom to see their sliding glass walls. 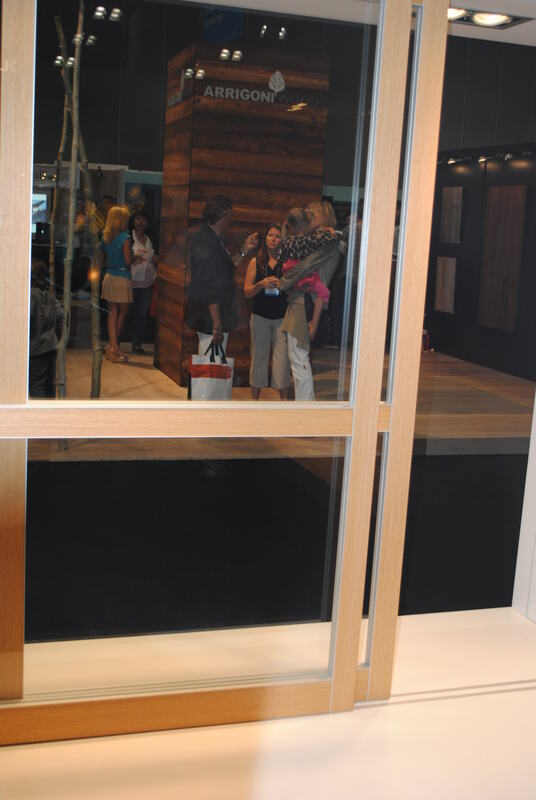 I was interested to see how the Ray Doors compare to other options at the design show. And options there were! First I visited the Sliding Door Company where there were several doors that would work, but I am afraid they look a little like very large shower doors. Then I made my way to Nana Walls which are exquisitely over our budget. I moved on. The final choice was to buy Tubular Track Hardware and attach it to glass found locally. 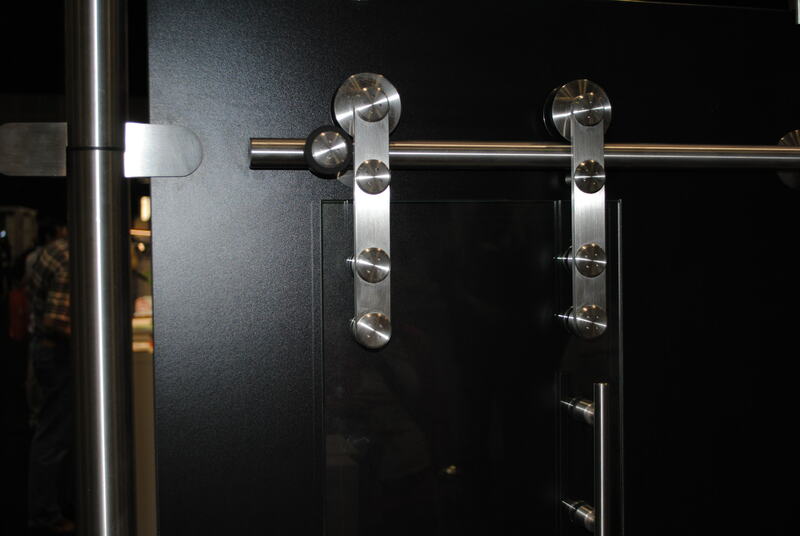 The hinges are beautiful and move so smoothly you barely have to touch them. The only downside, except for the cost, is that we would have an opening at the top of the wall which would make that room much less private. That snapped me out of my reverie! As I looked around, I noticed I was alone. My friends and Tim were nowhere to be seen. I began looking for Tim, trying not to be distracted by the material world around me. I dashed up to a man I thought to be Tim and excitedly started in telling him about all that I saw. He turned and it was not Tim! Then I looked more closely and saw that half of the men there looked just like Tim. 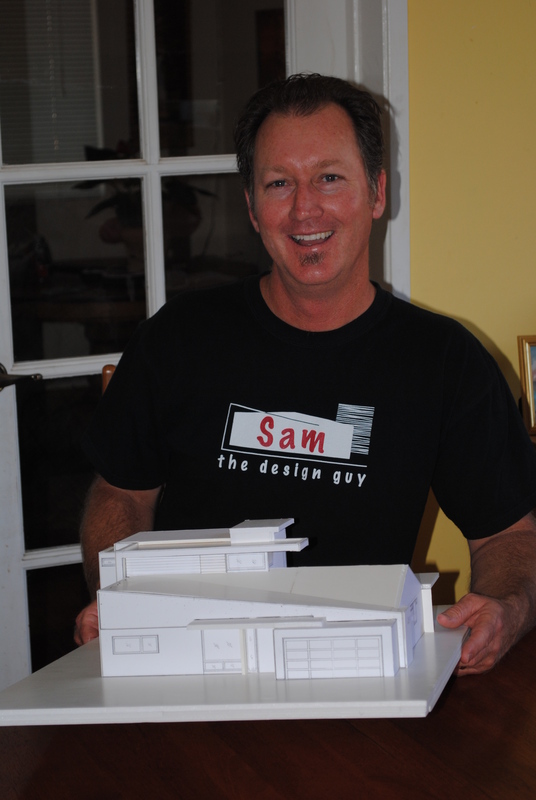 They were tall, thin, middle aged men wearing gray and carrying floor plans. I felt like I was trapped in a Where’s Waldo book. Where was Timbo?! Clearly there was only one thing to do: go to the garden area where they were giving out free samples of Australian wine and bide my time with a libation. On the way to the wine bar I hooked up with Scott and Leah and, armed with a small glass of wine each, we started looking for Tim and Greg. Finally our quintet was reunited and we headed on to other adventures. 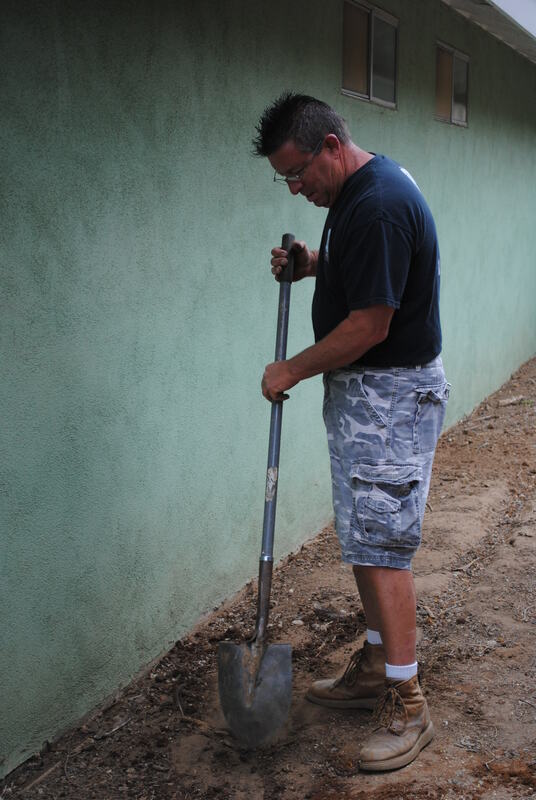 Michael Duncan of East County Soil Consultation and Engineering, Inc. did a soil sample in order to write a soils report. Thankfully our soil will support a second floor without heroic efforts. Sam Wright finished our elaborate and strangely beautiful construction drawings. 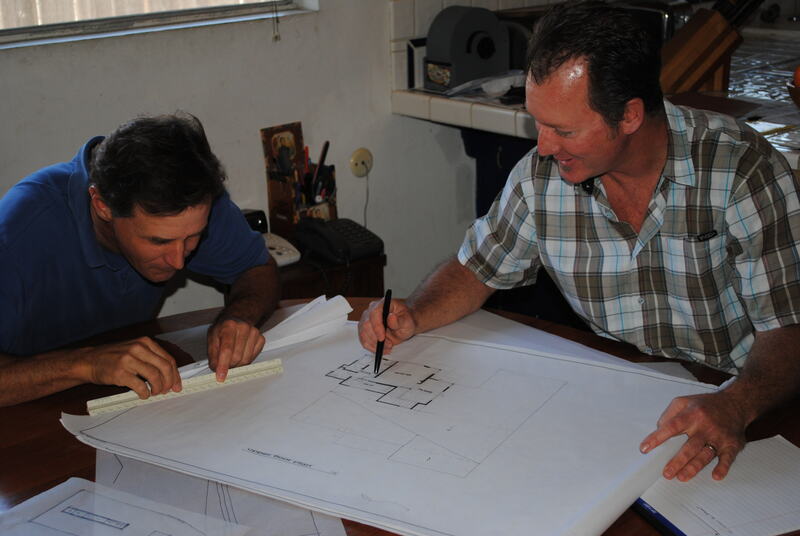 Looking at the finished construction drawings, all 28 pages, made me so glad that Tim and I didn’t try to do this on our own. It would have taken years. Now we are at the mercy of the City of Carlsbad. Once those plans are approved we break ground!